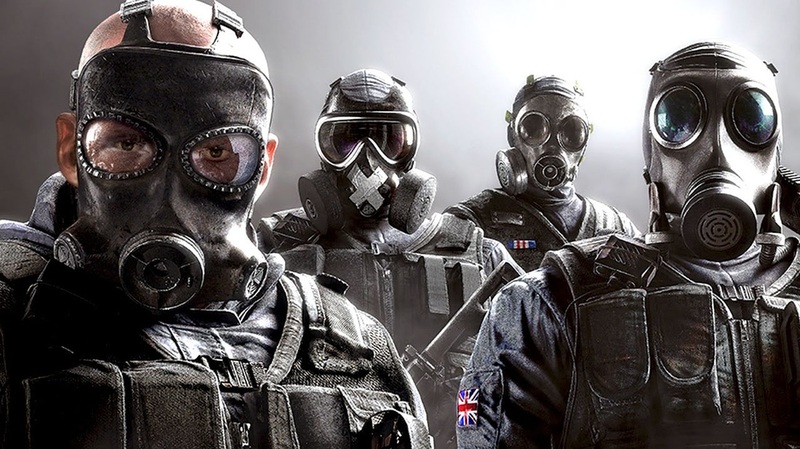 Rainbow Six: Siege has become a game that people love or hate with a passion. The fans love it because it's tough, skillfocused, smart and distinctive; a thinking man or woman's shooter that doesn't take all its cues from Call of Duty. The haters hate it because it's neither the Rainbow Six that they remember nor the Rainbow Six they wanted to see. Well, team thumbs down have some very good points, but if you join team thumbs up you'll realise that while Siege might not be a faithful update, it’s a fantastic reinvention. True, the lack of planning makes for a more actionoriented, less tactical Rainbow Six, though there's more of a tactical dimension to the minute-by-minute gameplay then this implies. You could also argue that there's as much CounterStrike in Siege's DNA than Rainbow Six, and you'd arguably be right. The lack of any serious singleplayer content is disappointing, and the graphics can be underwhelming. There's a lot of generic, boxy architecture, flatlooking furniture and bland décor in the world of Siege, while the lighting is a little flat to boot. suspensepacked thriller that grabs you from the moment you go in. Like CounterStrike, Rainbow Six is all about deadly skills, snap reactions, strong map strategy and adaptability, and when one mistake can leave you dead and out of the round, you really has better pay attention and think before you move. tutorial missions, and if you're a fan of stories and setpieces rather than coop and competitive online play, this really isn't the Rainbow Six you're looking for. On the graphics front, Siege isn’t a knockout beauty, but here all the love and work has gone into the game's destructible detail, as gunfire and explosions tear great chunks out of stud walls and furniture, and as breach charges shatter tough stone walls. Siege doesn't go big on eyecandy, but I can't remember a game since F.E.A.R. and its sequel that has made the destruction of everyday environments look as good as this. More importantly, Siege is genuinely exciting. Get through the bulk of the tutorial missions, or Situations, and you can get stuck straight into Terrorist Hunt – arguably the strongest coop mode of the current generation. With fourplayers taking on a smart, responsive terrorist force the action’s tight, focused and compelling; think Heat rather than Die Hard, Michael Mann not Michael Bay. With limited health and just one life you have to work effectively, move slowly but decisively and fight as a team to make it through, but there’s still scope for different tactics. The range of operatives, each with their own specific loadout and capabilities, turns out to be a masterstroke, not only because each one opens up a slightly different style of play, but because – with time – you can recognise each operative and work out how best to combine forces with that teammate. Terrorist Hunt is fantastic, with a powerful ‘just one more go’ factor that’s only amplified by the desire to unlock more operatives and then more weapon mods and customisations for each operative – this all costs a lot of renown. The real meat of Siege, however, is the competitive multiplayer mode. This is a slightly tougher sell. kills the hostage on the way to extraction, and Multiplayer isn’t always what it can be. But when it comes together, blimey, it’s about as good as team-steam action gets. There’s a palpable tension as players hustle to improvise and ambush or a breach, along with plenty of breathless moments where there’s just one man standing against two or three foes. You could argue that the different objectives don’t actually make an awful lot of difference, or that certain weapons or operatives could do with balancing, but there’s something brutal and unpredictable about Siege Multiplayer that just works. Maybe it’s that no wall is really safe (even the toughest can be breached by specific characters) and that your enemies might even burst through the ceiling or blast through the floor, but there’s an energy here that leaves many rivals looking tame. With time some of the silliest players will leave for other things, while the more committed fans will hone their teamwork and expertise. This will be for the good, but it’ll also make Siege an even more brutally challenging game than it already is. The trick is to stick with it. When you die, you die for a reason. Sometimes it’s because the other player has a better advantage, sometimes it’s because they’re just faster and more accurate. Sometimes you were just clumsy, thoughtless or stupid, blundering into the room with the objective in without a flashbang or smoke. You can spend too long focusing on the sights, or playing with your operative’s gadgets. Lose situational awareness and you’re often dead. connected it all works fine. While this hasn’t been a vintage year for singleplayer campaigns it has been a great one for multiplayer shooters. Between Halo 4’s twitch gameplay and epic Warzone mode, Black Ops III’s fantastic modes and enhancements, Battlefront’s Star Wars spectacle and Destiny’s, well, everything, you’d think it hard for another online shooter to make any waves. Yet Rainbow Six: Siege deserves to. It might be more the heir to CounterStrike than a ‘proper’ Rainbow Six, but even against such strong competition it manages to make and leave its mark. Romeo and Juliet: Most of us have either read the play early on in high school, or watched the 1996 spin starring Leonardo DiCaprio sometime after. We have all been forced to rip apart and analyze every possible aspect of the mid-1500s love tragedy. Some of us have even wondered what would happen if the story took place sometime more recent (thank you Baz Luhrmann, even though your version was... odd). What would happen, though, if this couple found themselves in say, the future? And what if, say, one of them wasn't even human? That's what Meredith Averill must have been thinking when she created the show Star-Crossed, a TV series which aired in 2014 on The CW. The show begins on September 17, 2014, when the alien species known as Atrians arrived on Earth. Emery Whitehill, who's six years old at the time, finds an alien child hiding in her shed. The military soon finds him and shoots him. Ten years later, Emery begins high school after four years dealing with immune deficiency in the hospital. There she meets Roman, one of the Atrian Seven that are also attending her school for the first time since they landed. She realizes he was the alien child in her shed, who she believed to be dead. Their story takes off from there, with Roman protecting Emery at the school's homecoming carnival from the Atrian extremists known as the Trags. The show instills teamwork, family, and learning to cooperate with those who are different than ourselves. Although Star-Crossed was cancelled after one season, it is still one of the best shows The CW had to offer, and its final episode left a cliffhanger that would kill any fan. Although the story didn't end with two suicides, one may even go as far as to say that maybe William Shakespeare himself would be impressed with the romantic drama involved. After all, everybody knows how much he loved drama and death, and Star-Crossed has plenty of both to keep a viewer on the edge of their seat.